If you've spent time on the internet lately, especially on YouTube, chances are that you know who Jordan Peterson is. 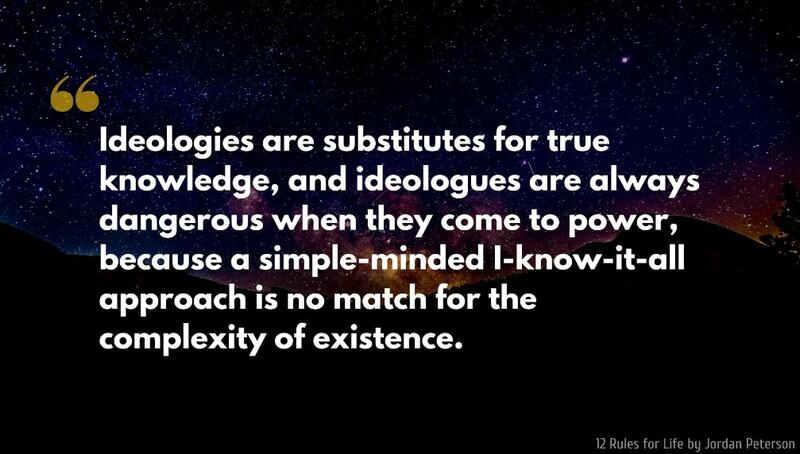 He is one of today's most influential and famous lecturers on sociological topics like free speech, biology, psychology and gender politics to name a few. 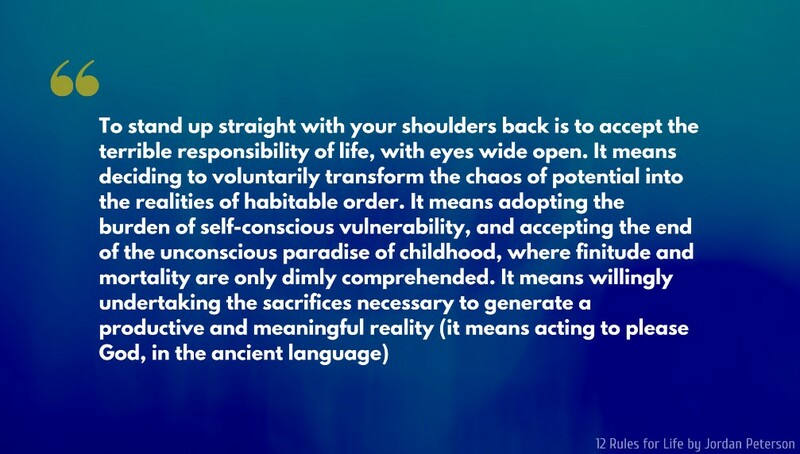 In 2018 he released his highly acclaimed non-fiction book 12 Rules for Life: An Antidote for Chaos and here below is the general outline of the book followed by a selection of insightful quotes and excerpts. You must determine where you are going in your life, because you cannot get there unless you move in that direction. 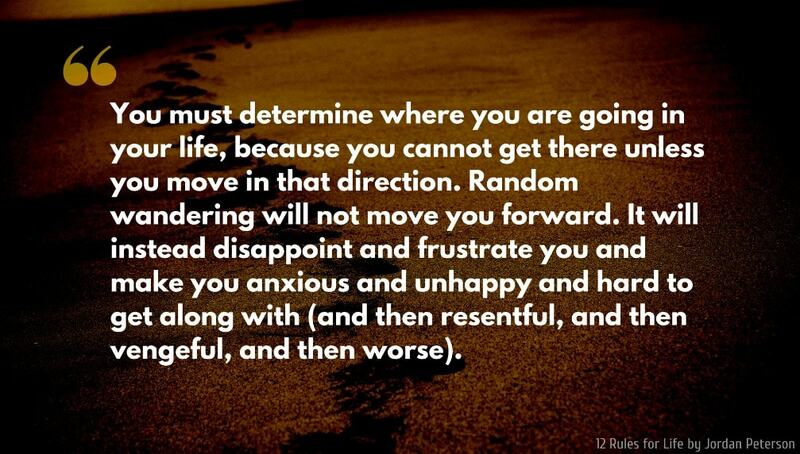 Random wandering will not move you forward. It will instead disappoint and frustrate you and make you anxious and unhappy and hard to get along with (and then resentful, and then vengeful, and then worse). 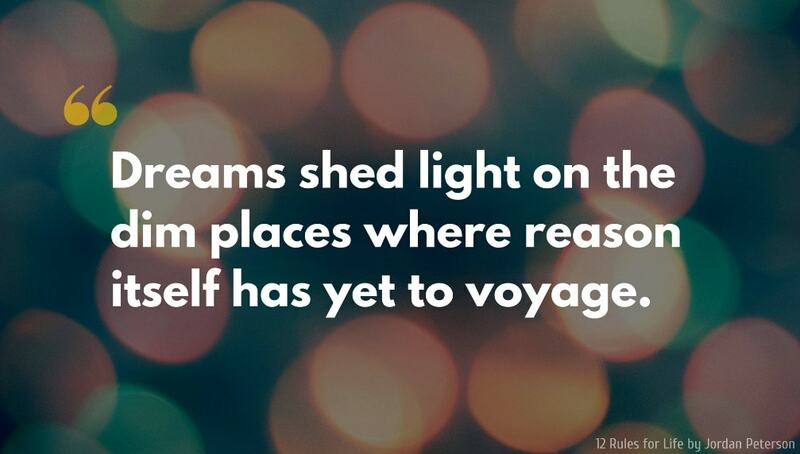 Dreams shed light on the dim places where reason itself has yet to voyage. 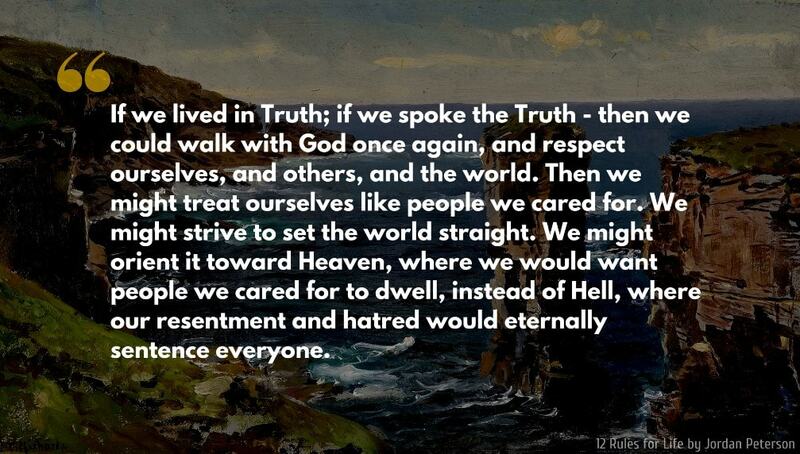 If we lived in Truth; if we spoke the Truth - then we could walk with God once again, and respect ourselves, and others, and the world. 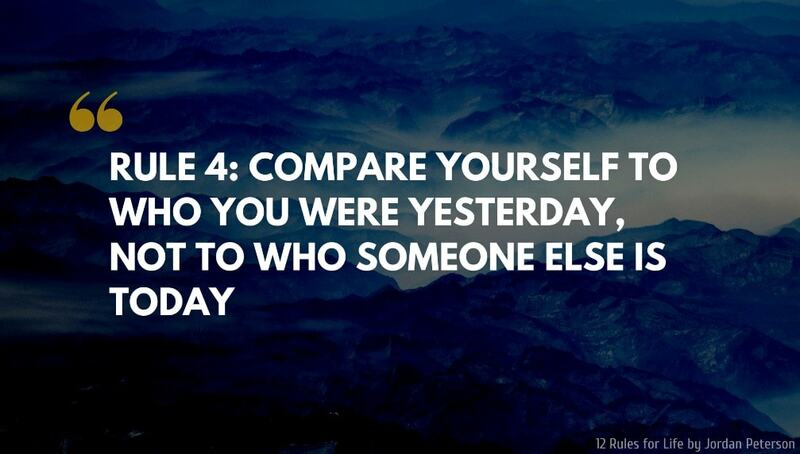 Then we might treat ourselves like people we cared for. We might strive to set the world straight. We might orient it toward Heaven, where we would want people we cared for to dwell, instead of Hell, where our resentment and hatred would eternally sentence everyone. 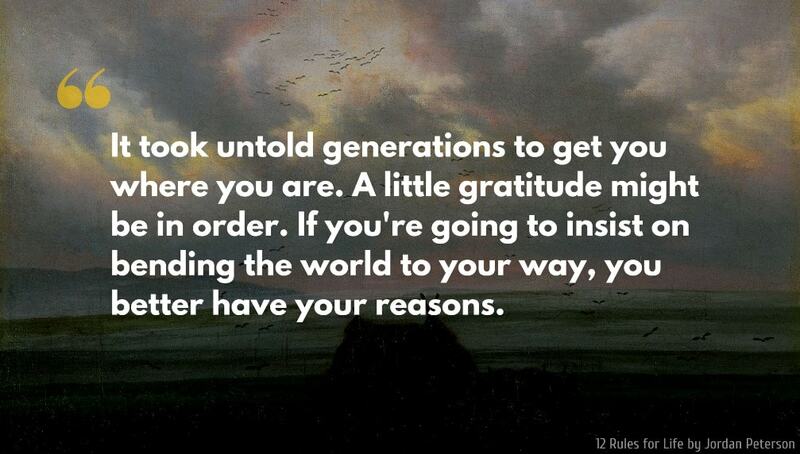 It took untold generations to get you where you are. A little gratitude might be in order. If you're going to insist on bending the world to your way, you better have your reasons. 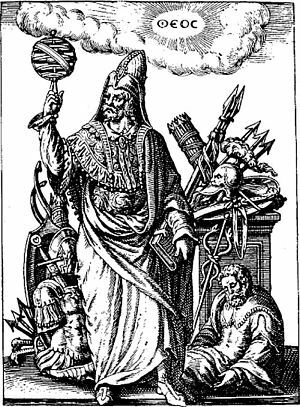 When you decide to learn about your faults, so that they can be rectified, you open a line of communication with the source of all revelatory thought. Maybe that’s the same thing as consulting your conscience. 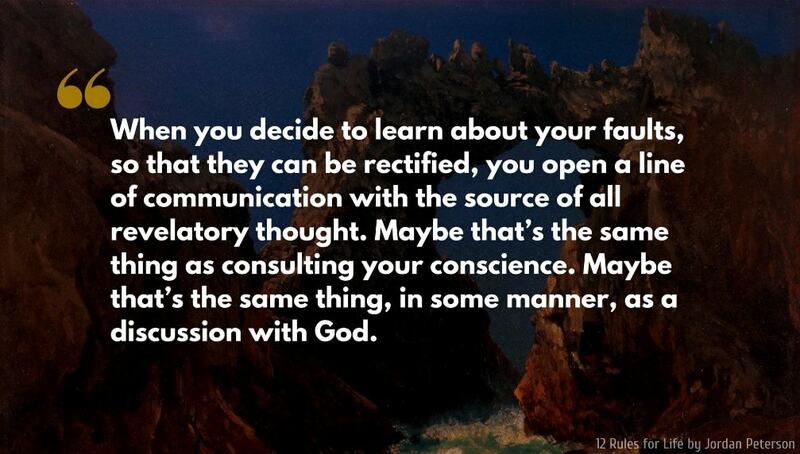 Maybe that’s the same thing, in some manner, as a discussion with God. 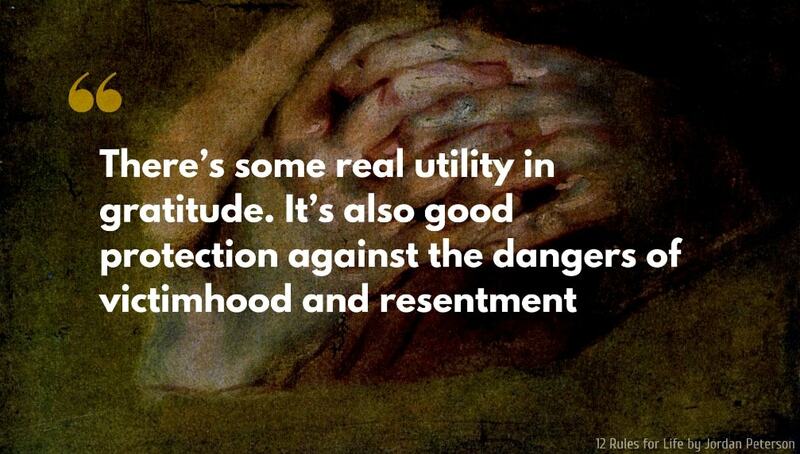 There’s some real utility in gratitude. 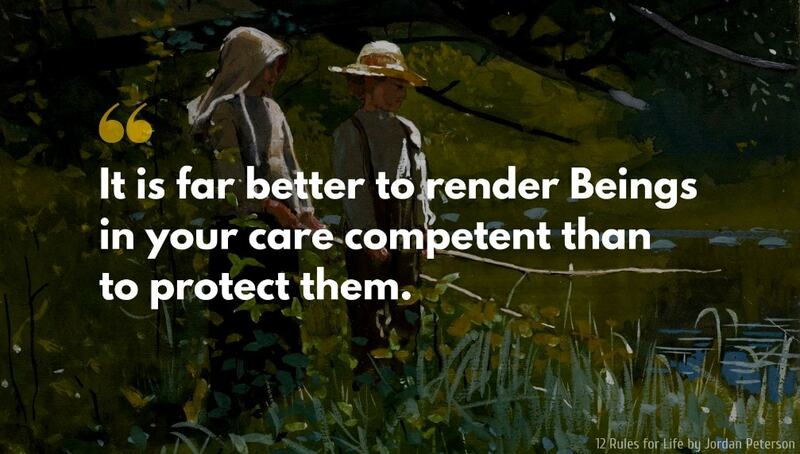 It’s also good protection against the dangers of victimhood and resentment. 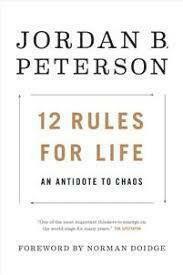 12 Rules for Life is a non-fiction book written by the Canadian psychologist, lecturer and writer Jordan B Peterson. The book mainly explores ethical topics concerning life derived from disciplines such as biology, psychology, literature, religion, myths, clinical experience and scientific research.